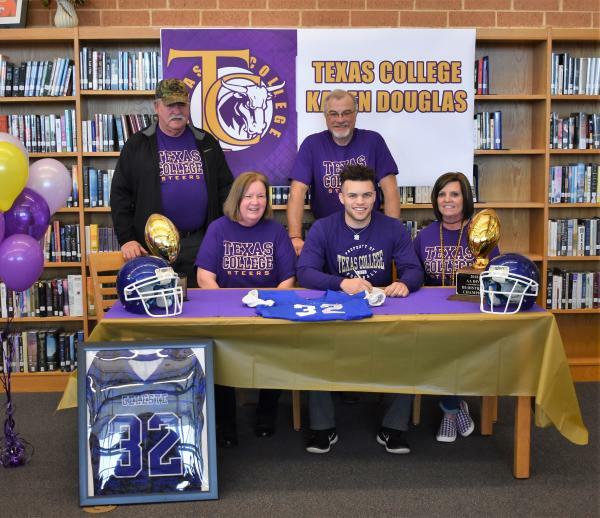 Family members, friends and community members gathered on February 1, 2019 to celebrate Celeste High School senior, Kaden Douglas, signing a letter of intent to play college football for the Texas College Steers in Tyler, Texas! 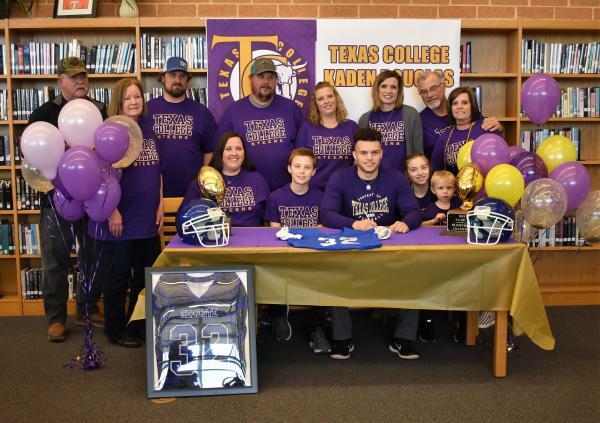 Kaden was selected as the 2018 District 5 2A Offensive MVP, and he received the Texas APSE 2A All State Football Team Honorable Mention Offensive running back honor. 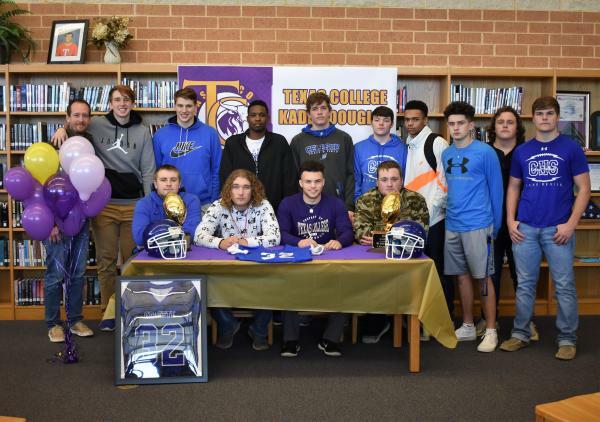 Congratulations to Kaden on this high honor!